Elements of the past restoring the possibilities of the future. The mechanical use of space depicted through geometric forms and organic ideology. 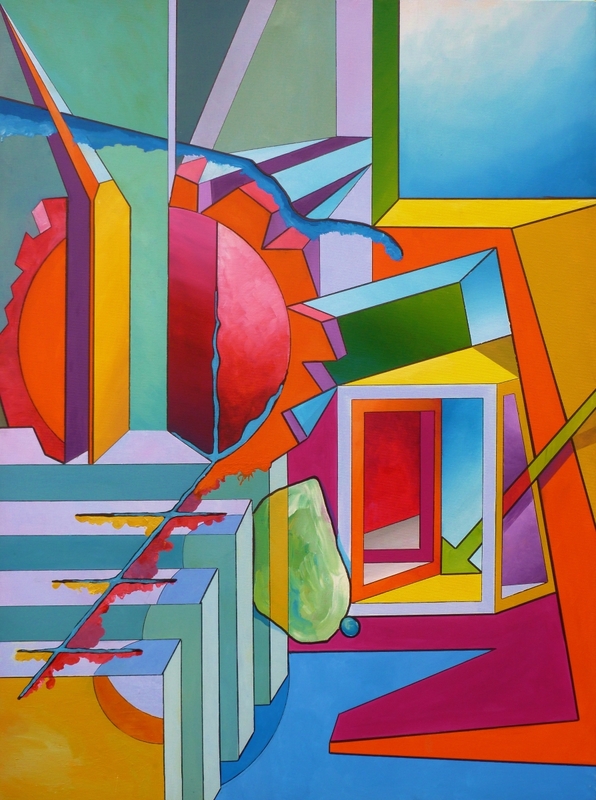 Bright colours work as sold planes and the decisive use of line provides depth and form in contrast to organic areas that grow across the canvas.